Jambo! Veronica Olazabal of The Rockefeller Foundation and Alyna Wyatt of Genesis Analytics here to share our recent experience at the 8th African Evaluation Association Conference (AFREA) held last week in Kampala, Uganda. 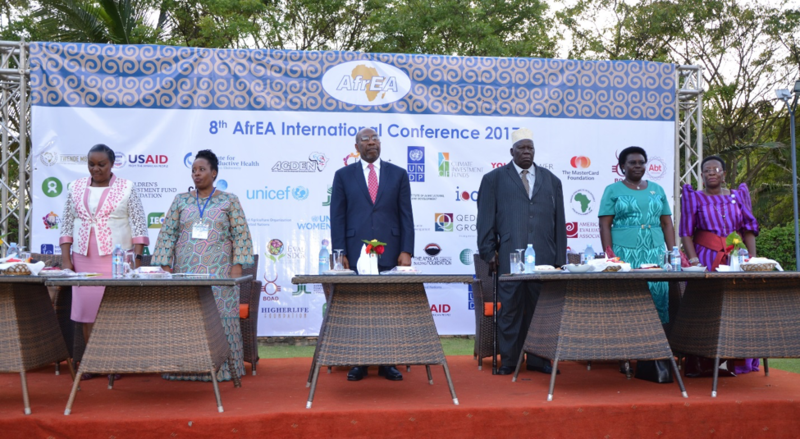 This event happens roughly every two years and brings together more than 600 evaluation practitioners from across Africa. The challenges of the developing world have been exacerbated by multiple crises: the global recession, the food and fuel crises, and natural disasters. In response, the nature of poverty alleviation interventions across Africa and the globe has changed. Interventions now often involve multiple components, multiple levels of implementation, multiple implementing agencies with multiple agendas, and long causal chains with many intermediate outcomes – all of this reflecting the complexities of world in which we live. Additionally, details of the intervention often unfold and change over time in ways that cannot be completely controlled or predicted in advance. To deepen evaluative thinking and practice in response to these trends, The Rockefeller Foundation funded Genesis Analytics to develop and deliver a strand at the AfrEA Conference focused on innovations in evaluation across two main areas: 1) New Forces in Development and 2) New Frontiers in Evaluation Methodology. The New Forces in Development sub-strand highlighted the emergence of innovative finance in Africa, and how this new trend combines market forces with social goals in a traditional ‘developmental’ context. A discussion on impact investing, hybrid funds, co-mingling funds, social impact bonds and public private partnerships brought attention to how these new forces are entirely compatible and complementary. Through four parallel sessions, participants explored the innovative finance, complexity, market systems innovation and PPPs, and the measurement and evaluation thereof. While these developmental trends are emerging, and evolving, there is a growing recognition that conventional evaluation approaches may need to be rightsized for these types of designs, and that there is need for measurement and evaluation methods that take into account the multi-faceted and multi-stakeholder complex environment. The second strand, New Frontiers in Evaluation Methodology, focused on evaluation innovations that are evolving to suit the trends in Africa, while ensuring participation and cultural issues. The most exciting results emanating from the conference were the enthusiastic conversations had between African practitioners committed to continue to push the frontiers of measurement and evaluation in evolving the development landscape. Other upcoming international evaluation convening include the EvalPartners Global Evaluation Forum in Kyrgyzstan (April 26-28) and the Evaluation Conclave in Bhutan (June 6-9) organized by the Community of Evaluators South Asia. Keep your eyes and ears out for the details that will be shared in coming months. Interested in learning more about AFREA? See here for additional detail. Stay connected to international evaluation by joining the ICCE TIG here.